Like many people following the Ohio charter school catastrophe, I was pleasantly surprised that the Department of Education was finally going to stick up for Ohio’s students and taxpayers regarding ECOT’s scandalous business practices. 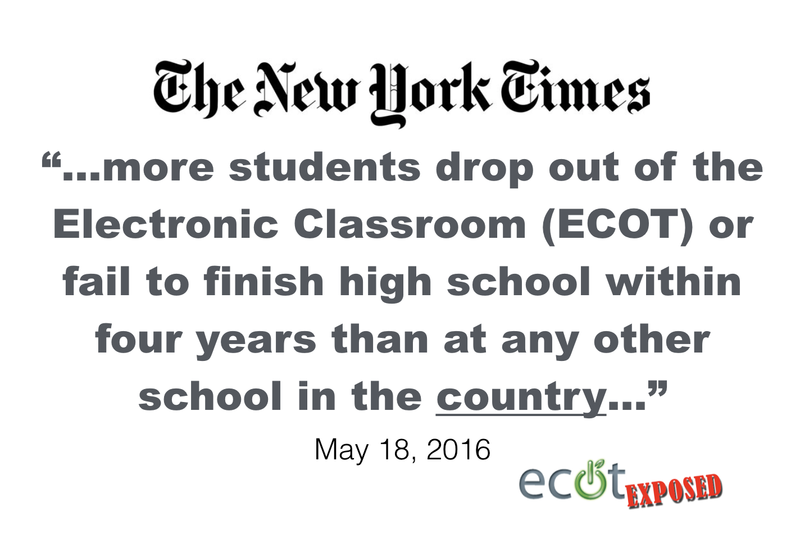 I thought ECOT would finally be held accountable for having the highest dropout rate in the nation. Instead, in an arrogant and offensive move, ECOT basically told Ohio’s taxpayers, the State Board of Ed., and new State Superintendent Paolo DeMaria to, “Go to hell,” when they asked for ECOT’s attendance records. Apparently ECOT’s owner, William Lager, is so politically connected, he feels he is above transparency and accountability. ECOT claims they help students who are falling behind in public schools and they offer opportunities public schools cannot. If they really believe they are providing a beneficial service, then why the secrecy? If they truly believe they are good and just then they should have no problems being transparent and accountable. It seems to me that ECOT’s defiance to cooperate with the Department of Education is really just an admission of guilt. Students should be worried and taxpayers outraged. 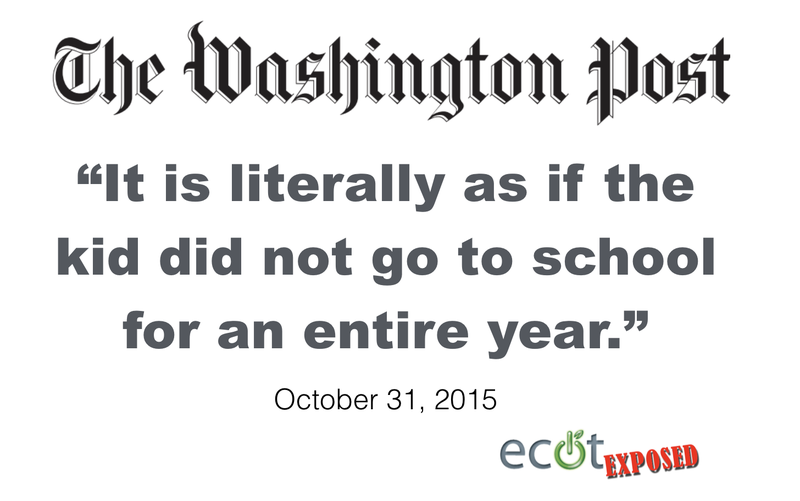 Next Next post: Will Ohio seriously investigate ECOT attendance records?